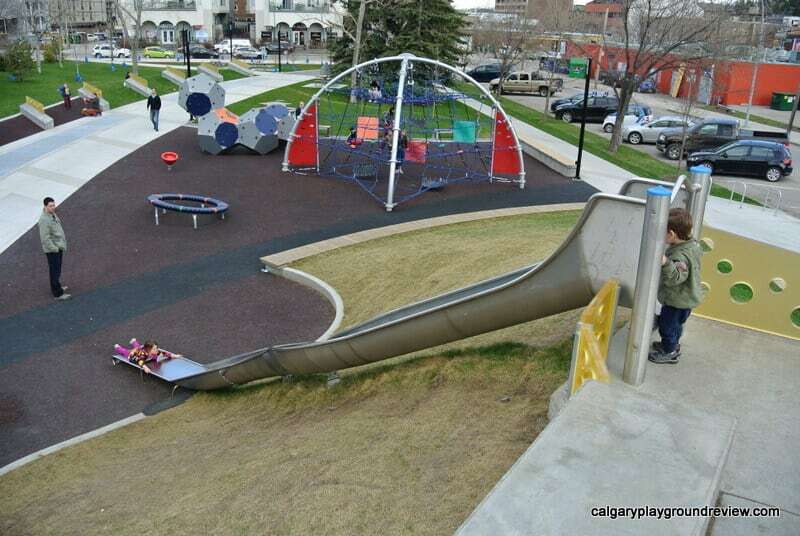 Some of the best slides in Calgary. 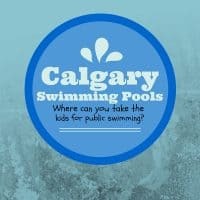 Do you know of another slide that should be on this list? 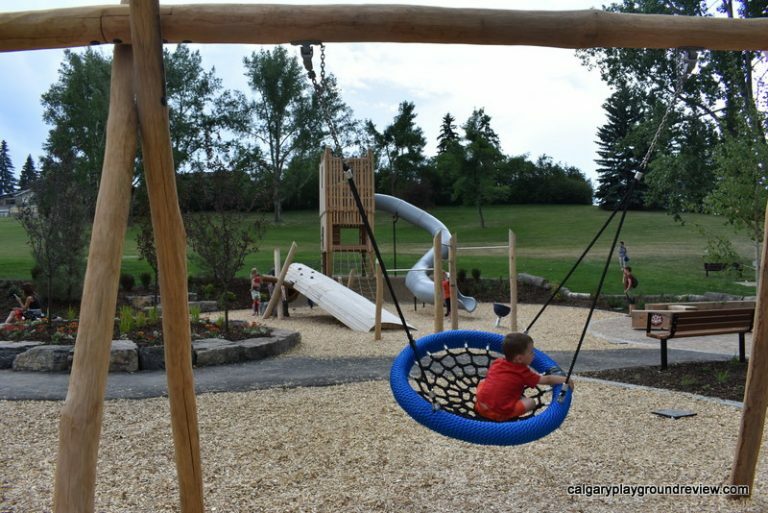 At Thomson Family Park, you can find some unusual equipment and an awesome hill slide. 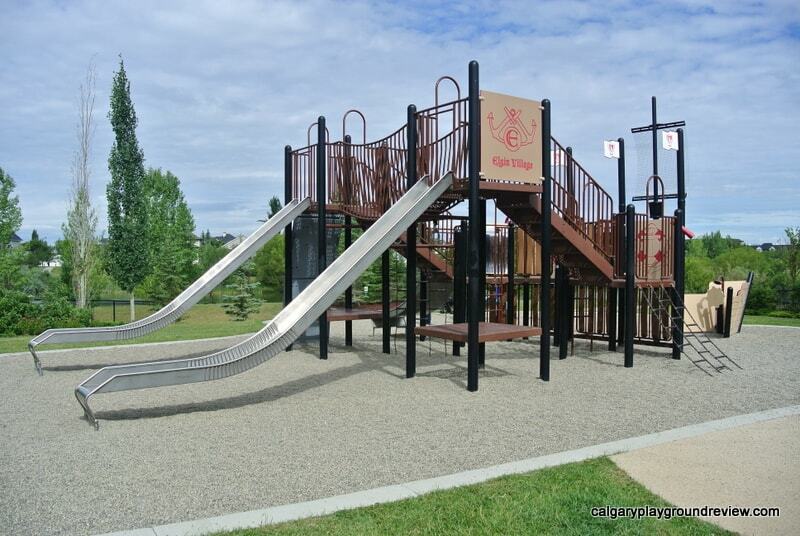 Confederation Park’s playground has a really nice inter-generational feel and a great tube slide. 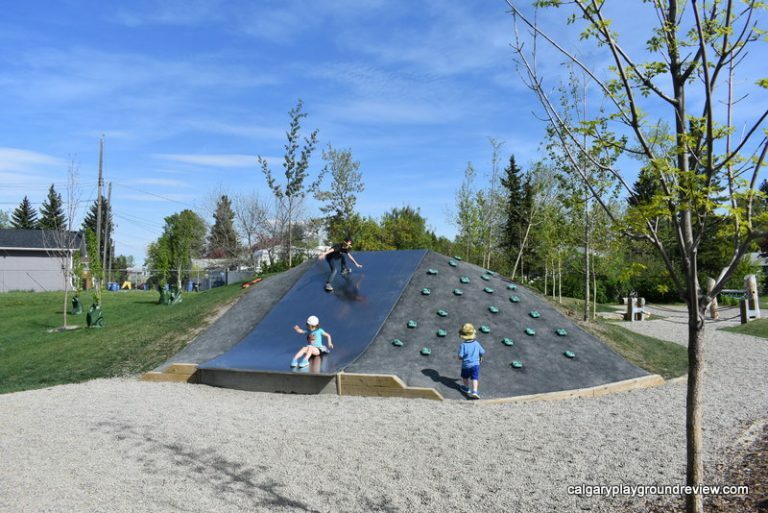 Haysboro’s natural playground has a really wide hill slide that kids love sliding down with friends and allows more more unique slide play. 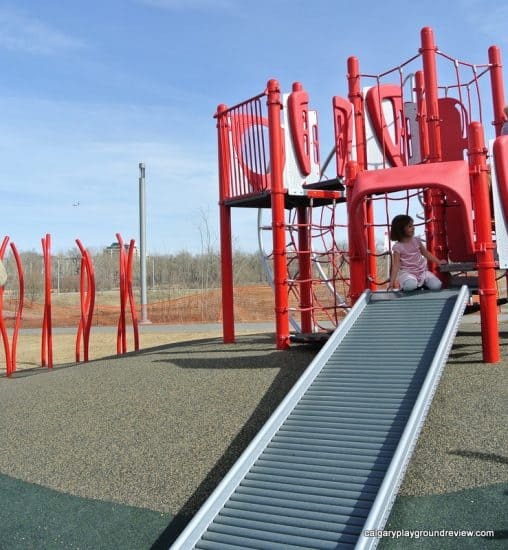 The accessible flooring at this playground is so bright an colourful, you’ll find it hard not to smile. And if you like tall slides, you’ll love this one. 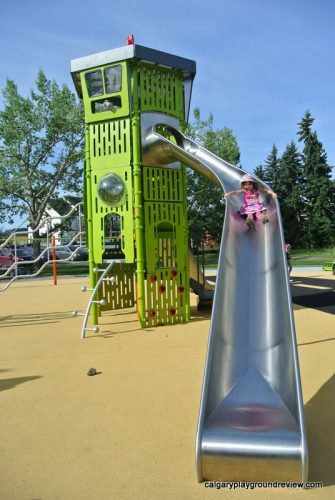 Not only is the slide at this playground great, the playground has a really cool airplane theme too! 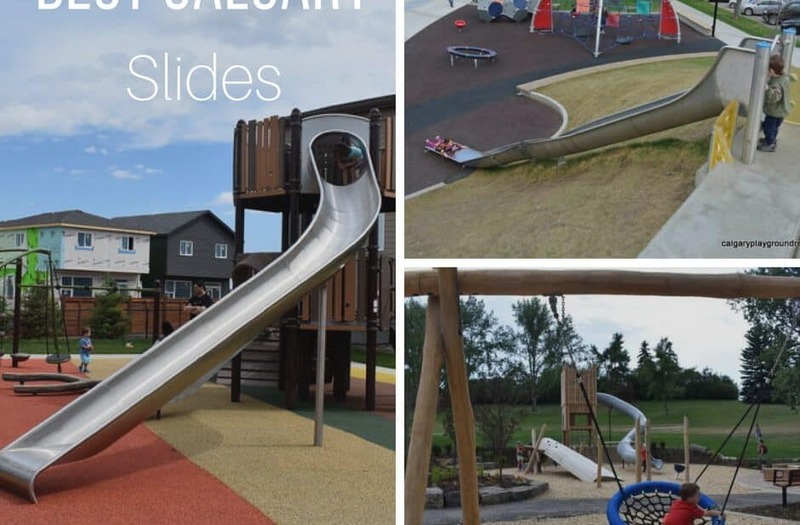 What is better than one tall slide? 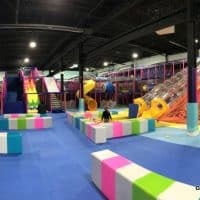 Two tall slides! Not only that, but this playground has a cool ship theme as well. 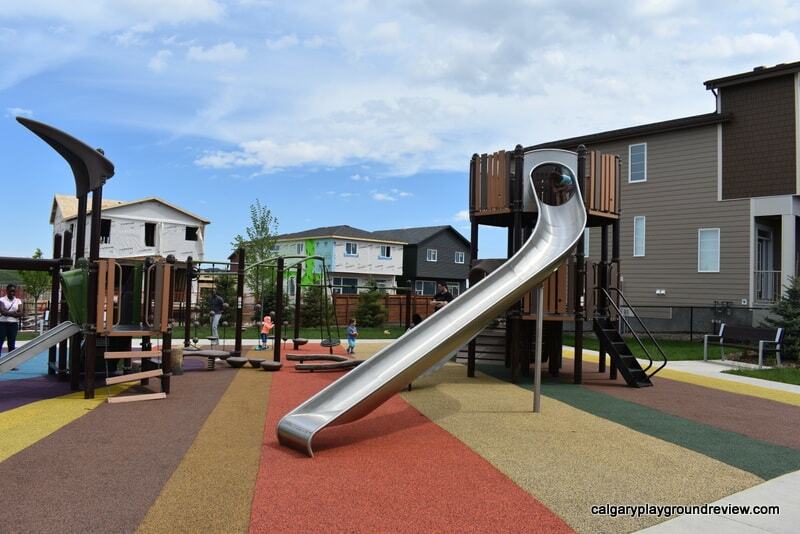 Elboya park is a favourite with Calgary families and has a tall double slide. 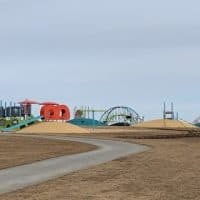 Prairie Winds Park has a couple of fun hill slides, some really unique equipment and a double zipline! 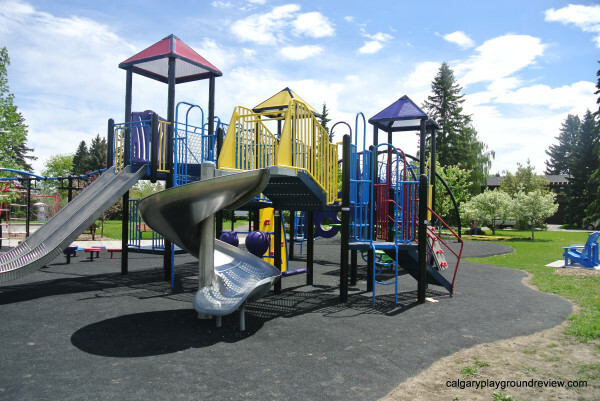 We haven’t actually been to this playground yet, but I’m told it is a great playground if you love slides. 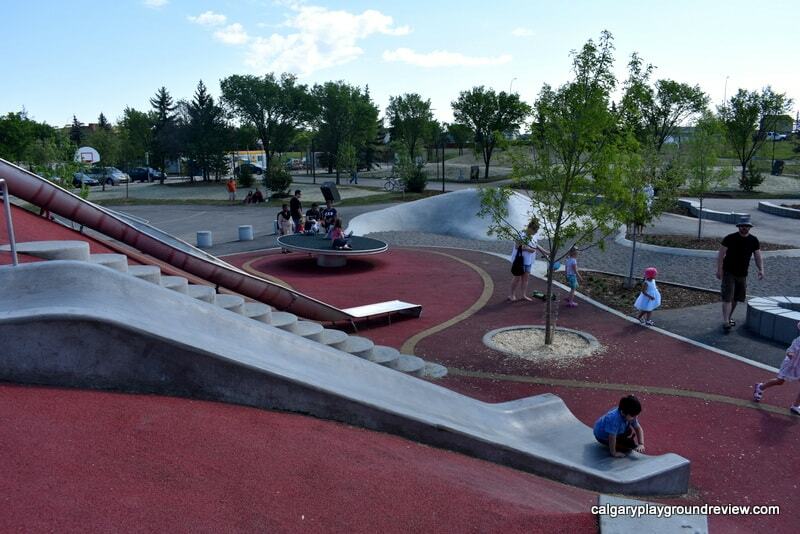 There are a number of awesome roller slides in Calgary too including one in Carrington and at the Crossroads playground in the East Village. 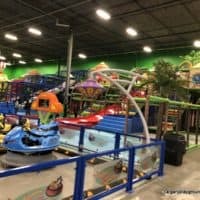 You can find a complete list of roller slides here. 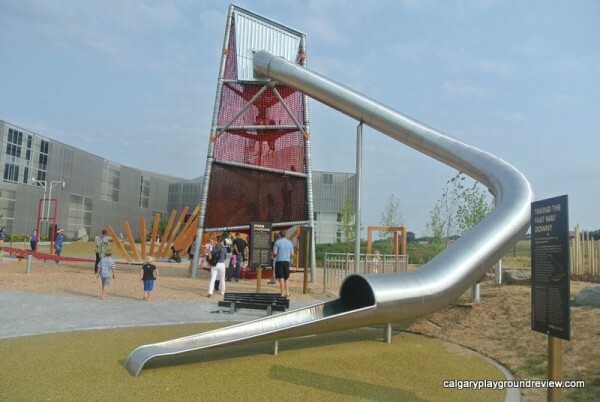 This slide is arguably the best in the city, however, it requires admission to Telus Spark to access it.